Have you been to Oklahoma City lately? I recently took a trip there to visit my husband’s hometown, about an hour or so to the southwest of OKC. Oklahoma City was our home base for the trip; we stayed at the Ambassador Hotel in the trendy Midtown neighborhood, just north of the downtown core. The city surprised us right from the start. From OKC’s easy-to-navigate Will Rogers World Airport, we made our way to the Ambassador Hotel; its residential feel, friendly staff, and cozy restaurant made for a perfect home base for the trip. The property is surrounded by an array of dining options in its neighborhood, including the popular Stella and the Waffle Champion. Downtown Oklahoma City offers great lodging variety that allows a traveler to pick from the unique to the mainstream. 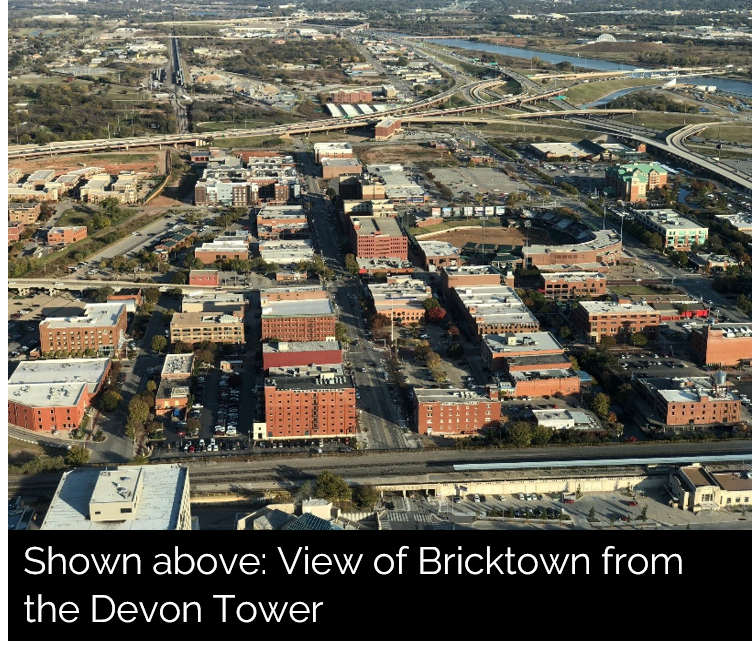 Bricktown, an entertainment district on the east side of the downtown core, features many well-known national brands, including Hampton Inn & Suites by Hilton, Hyatt Place, and Aloft, among others. 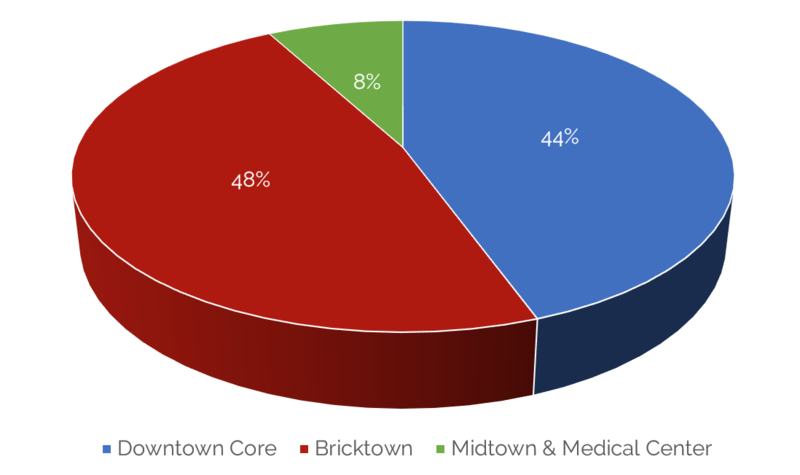 Eleven hotels have opened in Bricktown during the last ten years and now represent 48% of the supply in the greater Downtown OKC area. Just to the east, hotels like the Skirvin, Ambassador, Museum 21C, and Colcord (among others) offer additional variety. In total, the greater Downtown OKC area provides roughly 3,200 guestrooms. These neighborhoods will soon be linked by a new, $130-million streetcar system, which begins service in December 2018 after roughly six years in development. Chesapeake Energy Arena, further bolster the mix of demand generators. On the opposite side of Downtown, the Museum 21C hotel is a breath of fresh air, offering a captivating lobby and public-area experience replete with works of art. Just around the corner, we had brunch with our new Managing Director of HVS Brokerage, Drew Noecker, in The Jones Assembly restaurant, set in a renovated and repurposed car-assembly building. Drew lives just north of Downtown Oklahoma City and proudly leads our national brokerage division from this great city. I was lucky enough to receive a private tour of the historic First National Center (built in 1931), which is under redevelopment. Viewing the grand lobby and spaces reminded me of the tour I had of the Colorado National Bank before its developers turned it into the popular Renaissance Denver Downtown. If the plans hold true, the rebirth of First National will become one of the highlights of Downtown and a center for tourism and events. We toured the classic Colcord and dined in the Vast restaurant on the 49th floor of the Devon Tower, which, surrounded by windows overlooking the city, offered fantastic views. We ended our trip with a stroll along North Broadway Avenue, venturing into many of locally-owned shops. I look forward to returning here and supporting Drew Noecker and our new HVS outpost in this evolving city. 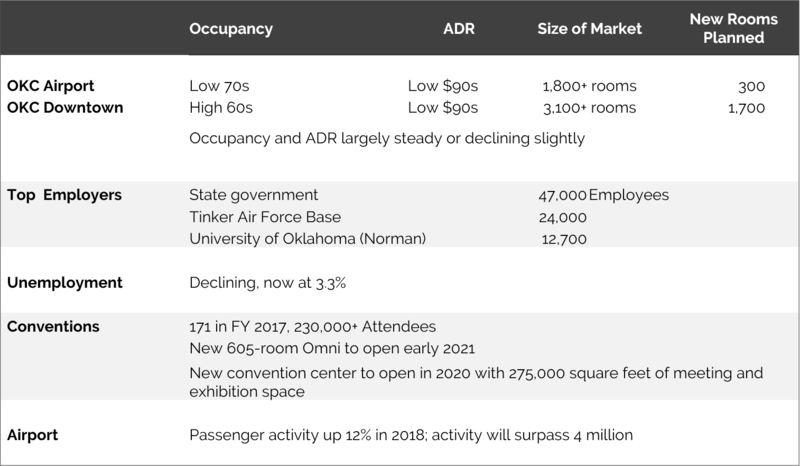 If you are looking to book a venue for a meeting in a relatively low-cost, central U.S. destination, make sure to add Oklahoma City to your short list. Thank you to Hunter Dietz, HVS Senior Project Manager, and Kathleen Donahue, Managing Director, for contributions to this article.